Facial Volume Loss is the loss of underlying elements in the face including blood vessels, fat layers, and collagen. The skin begins to fall as the supporting layer deteriorates with age. What Are the Causes of Facial Volume Loss? Facial volume loss is a very common problem as we get older. We lose some of the fat padding in our faces that contributes to a youthful appearance gradually over time with some people loser more quicker than others. Rather than radical surgery there are simple non-surgical methods to correct this facial volume loss with very low risk and no downtime. Hyaluronic acid fillers such as Juvederm can make a huge improvement in facial volume with immediate results that normally last at least one years although individual patient results will vary. These HA fillers are also completely reversible should we ever wish to remove it or decrease the amount injected. This is the beauty of HA fillers compared to permanent fillers which cannot be removed and are rarely used anymore. Dr. Crippen favours the Juvederm family of products which include Juvederm Ultra, Juvederm Ultra Plus, Juvederm Voluma and Juvederm Volbella. In order to determine which filler is right for you, book your consultation with Dr. Crippen to have a professional MD assessment. You deserve to look your best and with these new fillers on the market, you can keep age at bay for the time being. What Are the Treatments for Facial Volume Loss? What to Do About Loss of Volume in Cheeks? Cheek volume loss is easily addressed using the right filler product such as Juvederm voluma. Our DermaFill procedure is specifically designed to target significant facial volume loss with the right fillers in specific locations of the face for long lasting results. What Would Be the Main Causes of Facial Volume Loss? Genetics would be the main reason, what you have inherited from your family in terms of facial structure and general aging characteristics. Significantly medical illness will also possibly lead to facial fat atrophy and sagging or hollowness of the skin on the face. A long history of smoking and/or sun exposure will also lead some patients to require significant amounts of filler to address this issue. Lastly, significant weight loss will also cause volume depletion in the face, this combined with aging can be dramatic and require larger amounts of filler which can make dramatic improvements to one’s appearance and self esteem. Can a Fat Transfer correct volume loss around eyes? Yes it certainly can, however this is a permanent procedure and if it’s done perfectly and results will be excellent. However, we see all too often results that are less than ideal that require correction either with additional surgical procedures or filler products by us. Is it possible to add volume to your forehead? Yes, it is possible however fillers in the forehead are generally not used except in certain situations that may require it. Above the brow and temple areas are locations that are most commonly filled with filler near there. What is the best option for adding volume to face? Fillers like Juvederm Voluma in our DermaFill procedure are great, long lasting fillers that have little to no downtime and normally last 1-2 years at least. I’ve lost a large amount of volume in my face rapidly, without weight loss. Can fillers fix this without complications? 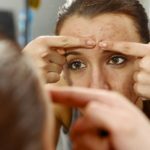 Complications and risk are inherent with any procedure, however using advanced injection techniques, these risks are greatly reduced especially with our DermaFill procedure. Excellent results are commonplace and last for many years. Is facial volume loss a possible side effect with Venus Viva? I am a 22 year old with facial volume loss. Which option is best to fix my problem? Filler is definitely a good option for this situation and is the most common location for filler placement. Most of our patients notice results that last 1-2 years on average or longer. Facial volume loss after illness. Any suggestions? 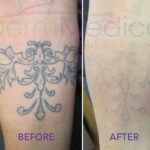 Our DermaFill procedure is specifically targeted to address this situation and has long lasting benefits with no downtime. Additional treatments require smaller amounts of filler to maintain results. Can menopause cause accelerated facial aging and volume loss? Absolutely. Many patients find that after a certain age their facial aging process dramatically changes or accelerates. Volume replacement with fillers is the ideal solution. What is Best Filler for Loss of Volume in Cheek Area? We have found that the best filler for deep volume replacement is Juvederm Voluma. It is a very smooth filler with an excellent safety profile if injected by an experienced physician. How much filler would I need to improve the volume loss in my face?